Helen Goodson is the owner and clinical director of Harpenden Physiotherapy. She qualified in 1983 at St Thomas’ Hospital and has worked both within the NHS and private sector. Helen originally specialised in elderly care but has worked exclusively as a musculoskeletal specialist since 1992. Her speciality is the cervical spine and sports injuries. A particular interest in rugby has resulted in her treating and rehabilitating international rugby players. Helen delivers orthopaedic and sports injury educational programmes to GP’s and has lectured at the BMA on the diagnosis of common musculoskeletal conditions and rugby injury prevention. She is a keen supporter of Harpenden and OA rugby clubs and has treated many of their players. Helen is a retired county tennis player and county golfer and is experienced in treating injuries relating to the specific demands of all sports. Helen is recognised by all major insurance companies. Appointments with Helen are available on request. Emily Firmin qualified in 2005 from the University of Brighton. She initially worked at Barnet and Chase Farm Hospitals completing various rotations including musculoskeletal, orthopaedics, respiratory and neuro-rehab . Emily then moved to the community in North London where she gained extensive knowledge of falls prevention, balance and vestibular problems. Emily attends forums and community groups giving talks on Falls Prevention and runs an NHS Falls Prevention programme. Emily is able to provide holistic treatment at home to help you maximise your independence and reach your full potential following a range of setbacks such as hospital admission, post operatively and following a deterioration in all long term Neuro-disability conditions such as strokes, Parkinson’s Disease or Multiple Sclerosis. Emily is a member of AGILE (Physiotherapists working with Older People). She enjoys road cycling and has completed a number of charity rides. 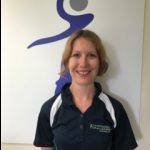 Alongside her home visits, Emily is also available now in Harpenden Physiotherapy clinic on Thursdays and Saturday mornings as a Musculo Skeletal and Neurology Physiotherapist and Acupuncturist. Emily is recognised by all major insurance companies. Karen Osborn qualified in 1990 as a Chartered Physiotherapist, she worked for the NHS at Doncaster Royal Infirmary. She was also the team physiotherapist for Wakefield Trinity Rugby League Club. Following a period working in Chicago, USA Karen returned to the NHS providing physiotherapy at three GP surgeries in Norfolk. Karen left the NHS to work for the RAF at the Officer Training College, Cranwell, treating members of all three armed services in their Regional Rehabilitation Unit. 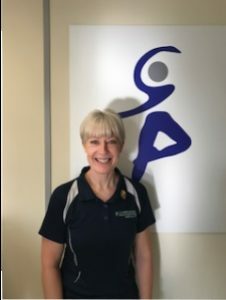 In 2005 she started working at Spire (formerly BUPA) in Harpenden where she still works as a physiotherapist, specialising in back, necks, knees and shoulders. Karen has a keen interest in Vestibular Rehabilitation and has attended several courses including The Leicester Balance Course, an intensive course attended by consultants, physiotherapists and GP’s. She is a member of the specialist CSP group; Association of Chartered Physiotherapists with an interest in Vestibular Rehabilitation (ACPIVR). Karen regularly presents to local GP’s on their Orthopaedic study days. Karen is recognised by all major insurance companies. In her spare time she is a keen runner and annually takes part in the Great North Run. She recently completed her first London Marathon. Her involvement in running gives her an excellent insight into the physical demands that an athlete or recreational runner experiences. This has Karen developing a special interest in the treatment and rehabilitation of running injuries. Karen is available in clinic on Mondays (until 7pm), Wednesdays and Fridays. Jo Parrott qualified as a Chartered Physiotherapist in 1987. Initially she worked at Addenbrooks Hospital and then joined Spire Harpenden hospital as an outpatient physiotherapist in 1991. More recently Jo has been working in private practice and runs a busy GP clinic in St Albans. Jo’s main area of interest is musculoskeletal, specifically knee, back and sacro-iliac conditions. Jo is an ex competitive swimmer and swimming instructor which gives her invaluable insight into the effects of training and competition on the body. She is also trained in gait analysis and orthotics and enjoys treating adolescents with biomechanical disorders caused by gait problems. Jo is recognised by all major insurance companies. Jo is our resident specialist acupuncturist. She qualified as an acupuncturist in 1991 and runs acupuncture clinics both privately and in the NHS. She treats all musculoskeletal conditions, IBS, migraines, stress related illnesses, addictions, menopause and chronic pain. Jo is available in clinic on Tuesdays until 5pm and Thursdays until 7pm and is a member of the Acupuncture Association of Chartered Physiotherapists. Kathryn Gunter graduated with a first-class honours degree in Physiotherapy from Kings College London and gained musculoskeletal physiotherapy experience in the NHS before moving to Spire Hospital in Bushey. Here, Kathryn worked closely with leading orthopaedic consultants gaining further knowledge of post-operative rehabilitation and hydrotherapy. She now works part-time in the NHS dealing with complex musculoskeletal conditions and now brings her expertise to Harpenden Physiotherapy. Kathryn is recognised by all major insurance companies. 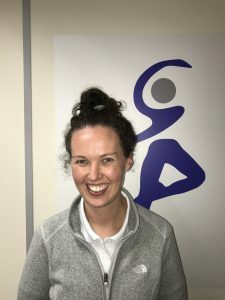 Kathryn also has a particular interest in treating spinal conditions and is a certified APPI Pilates instructor with experience of teaching in a variety of settings. She has completed several Pilates speciality courses including Ante and Postnatal, Osteoporosis and more recently a High Intensity Interval Training Pilates course. More recently Kathryn has studied the mechanics of running and associated injuries. She is also a qualified snowboard instructor having taught in the UK and abroad and therefore appreciates the demands of winter sports although she now spends more time in the Hertfordshire countryside with her two Labradors. Kathryn is available in clinic on Mondays until 7pm and Thursdays until 6pm. Andy Smith graduated from the University of Hertfordshire in 2002 and is head physiotherapist at Watford General Hospital where he specialises in musculoskeletal disorders. He is trained in acupuncture, Pilates and manipulation as well as sports massage. Alongside his NHS work, Andy has accumulated many years of experience working in private practice and is registered with all the major insurers. He remains involved with the University and lectures on clinical practice as well as advising on various committees. Andy is recognised by all major insurance companies. Andy enjoys educating patients about their condition and empowering them to understand what is needed to put things right and get back to what they enjoy doing. He has a particular interest in sports injuries and is a keen sportsmen himself, enjoying road cycling, running, golf and cricket. Andy is available for appointments on Monday and Thursday evenings until 9pm. 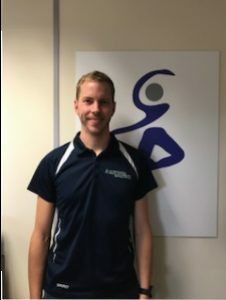 Matthew Guilliatt graduated in 2009 with a first class BSc (Hons) Physiotherapy from the University of Hertfordshire; he then has completed his Msc in Advanced Musculoskeletal Physiotherapy in 2017. Matthew currently works in the NHS as an Advanced Physiotherapy Practitioner in Hertfordshire. He has a special interest in shoulder rehabilitation especially multi-direction instability and Rotator cuff tendinopathies. He is also a reviewer for the Journal of Physiotherapy and is a member of the CSP, HCPC and MACP. and lectures part time at the University of Hertfordshire. Matthew is recognised by all major insurance companies. 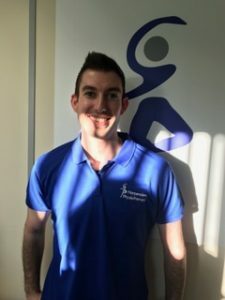 Since qualifying Matthew has worked specifically within musculoskeletal physiotherapy gaining experience from working within the NHS, private practice and also with a semi-professional football team in North London. Siobhan graduated from the University of Hertfordshire and as well as being our lead women’s health physiotherapist she is also a Senior Physiotherapist and clinical educator for West Hertfordshire Hospital Trust. She specialises in Women’s Health and Musculoskeletal disorders. In her Women’s Health role she treats conditions such as pregnancy related pelvic girdle pain, bladder and bowel conditions such as urinary incontinence, over active bladder, faecal urgency or incontinence, Diastasis Recti, breast oncology and many more conditions. Siobhan has attended training by the Pelvic Obstetric and Gynaecology Physiotherapy society in the management urinary incontinence and pelvic floor assessments. She is also trained in acupuncture. Karen Shipton is a qualified Soft Tissue and Remedial Sports Massage Therapist, having graduated with a Level 5 BTEC Professional Diploma in Clinical Sport and Remedial Massage Therapy from the London School of Sports Massage. 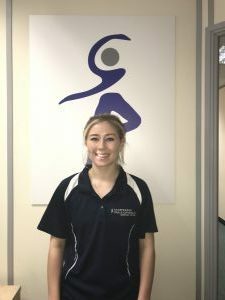 She works in conjunction with our physio team, focusing on re-aligning muscle length and reducing muscle stiffness through various different massage techniques including Myofascial Release, Soft Tissue Release (STR), Neuromuscular Technique (NMT) and Muscle Energy Techniques (MET), amongst others. She has also worked alongside the Physiotherapist at Harpenden RFU treating the 1st XV team and currently treats a range of patients from both sporting and non-sporting backgrounds. Karen has worked in the sports industry for many years as a qualified exercise to music instructor and is a keen runner, having completed many marathons and half marathons. She combines her training schedule with a regular Ashtanga Yoga practice, conscious of the importance of realigning the muscles and maintaining an effective stretching regime. Charlotte Talbot Price is a qualified Level 3 Sports Massage Therapist and also has a BA (hons) in dance performance from Middlesex University, which gives her extra insight into the stresses and strains on overworked muscles and joints. Charlotte has also worked at the London Marathon and works with Riding for the disabled at a local stables. Ware lucky to now have Charlotte working on Saturday mornings at Harpenden Physiotherapy. Clare Johnston is a qualified counsellor and a registered member of the British Association for Counselling and Psychotherapy (BACP). She trained for 4 years and graduated with a Level 4 Diploma in Therapeutic Counselling. She also holds a BACP Certificate in Proficiency. Her counselling approach is based on the Psychodynamic model. This model looks at how our past experiences can influence our present, and also enables us to explore our unconscious mind with the aim to make the unconscious conscious and bring self- awareness and understanding. Clare has counselled clients in several Hertfordshire based Counselling Agencies, where she gained valuable experience in a wide range and depth of issues such as anxiety, depression, panic attacks, stress, low self-esteem, anger, addictions, relationships, bereavement and loss and trauma. She believes that counselling offers you the space to explore and make sense of your life experiences in a safe, confidential and non-judgemental environment. 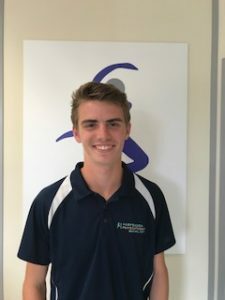 Matt has recently started working on reception at Harpenden Physiotherapy pursuing a keen interest in a career in physiotherapy or the sports industry following a day’s work experience with us. His keen interest has stemmed from playing and coaching tennis, and his study of Physical Education at A-level at St Georges School. Matt is particularly enjoying getting to know how physiotherapy practices work, gaining a more personal and in-depth insight into physiotherapy as a degree and future career, as well as working with customers and physiotherapists in the practice.